Yes, we know. We’ve barely finished boxing up 2014, and we’re already looking ahead to all of the goodies 2015 has to offer. Can you blame us? No matter your taste, Hollywood has something incredible on the docket for the coming year, with beloved franchises, Marvel universes, Oscar hopefuls and animation giants all reserving space at the multiplexes. As you nurse your New Years Eve hangover, scan through this list of the 15 most anticipated movies on the 2015 schedule. Mark the dates on your calendars, and tell us in the comments section which movies you can’t wait to see this year. 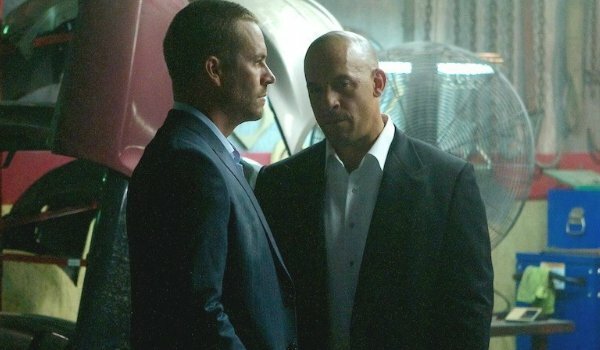 Plot: After taking out Owen Shaw in the London-based Fast & Furious 6, Dom (Vin Diesel), Brian (Paul Walker) and the rest of the rubber-burning gang must contend with the criminal’s vicious older brother (Statham), who is on a mission of vengeance. Why We're Excited: The fifth and sixth Fast & Furious movies put the franchise back on track, and we were beyond excited to see if Furious 7 could continue the hot streak. Then, following the death of leading man Paul Walker, we grew more interested in learning how Team Fast would honor his legacy. The new faces also have us ramped up, from Statham and Russell in front of the camera to James Wan behind it. Plot: With S.H.I.E.L.D. dismantled following the events of Captain America: The Winter Soldier, Iron Man/Tony Stark (Downey Jr.) works to restore a dormant peacekeeping program – but instead winds up introducing the world to Ultron (Spader), a psychopathic robot who sees humanity as a disease that needs to be cleaned. Naturally, it’s up to the members of The Avengers to stop it. 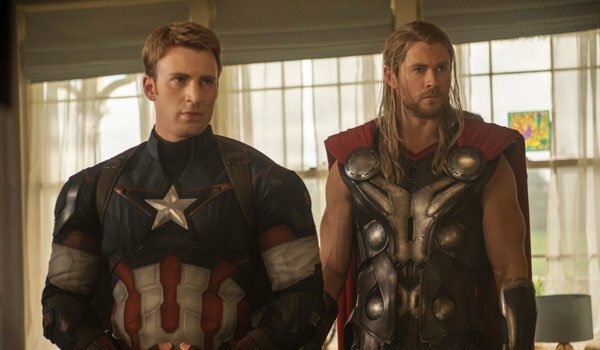 Why We're Excited: It feels like it was just yesterday that Joss Whedon’s first Avengers movie was absolutely blowing our minds, and we’ve spent the last two-and-a-half years foaming at the mouth waiting for his follow-up. Obviously a great deal has changed in the Marvel Cinematic Universe since the last time the likes of Iron Man, Thor, Captain America and Hulk got together, but we expect nothing but great things from their showdown with Ultron – one of the greatest villains of Marvel Comics. The film promises us not only the return of some of our favorite dynamics – science bros forever! – but it will also keep the universe growing with the introduction of characters like Scarlet Witch (Olsen) and Quicksilver (Taylor Johnson). The first trailer for The Avengers: Age of Ultron completely blew our minds with its darker tone, beautiful cinematography, Easter Egg hints and more (Read: Hulkbuster armor), and we’re counting down the seconds until it’s available for our viewing pleasure. Plot: Set in the same post-apocalyptic world of the original Mad Max movies, the story follows two central characters: Max (Hardy), a loner on the run simply looking for peace after the death of his wife and child; and Furiosa (Theron), a one-armed warrior woman looking to make it back to her childhood homeland. 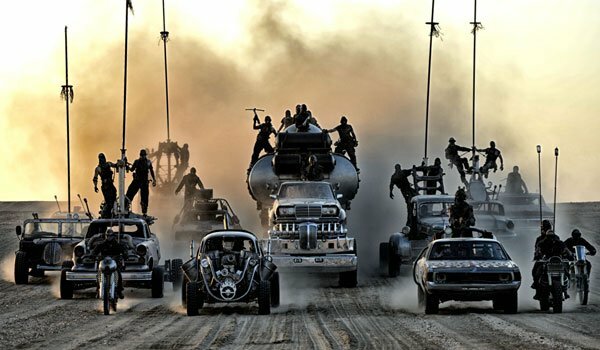 Why We're Excited: Now that it’s 2015 and George Miller’s Mad Max: Fury Road is just a few months away, our excitement for the movie is at peak levels – but in all honestly we’ve also been waiting for this film for what feels like forever. It was first announced all the way back in 2007, and all kinds of delays and behind the scenes drama forced us to be patient. But now it’s almost here, and it looks absolutely amazing. The movie has been described by its director as a 110 minute chase scene, and the trailers we’ve seen have painted it as an insane ride through post-apocalyptic hell. We couldn’t be more on-board. Plot: Following up the surprise smash hit from 2012, the Barden Bellas take their show on the road, entering an international singing competition that – to date – no American team has ever won. Why We're Excited: The original Pitch Perfect was as effervescent, humorous and uplifting as a perfectly crafted pop song, and we are anxious to see if lightning can strike the same microphone stand twice. Getting the whole gang back together was a coup (though behind-the-scenes shots of the revelry on this cast leads us to believe that cast members like Kendrick and Wilson would do 10 Pitch Perfect movies if Universal would let them). We’re mostly interested to see how Elizabeth Banks does as a first time director. What new energies can she bring to the follow-up of an already perky movie? Plot: A rebellious teenager (Robertson) with a scientific mind teams up with a former boy genius (Clooney) to unearth the secrets of the mysterious location of the title, which seems to be under the reign of a dangerous villain (Laurie). Why We're Excited: After The Iron Giant, Ratatouille, The Incredibles and Mission: Impossible – Ghost Protocol, we’re officially excited about anything Brad Bird decides to do. 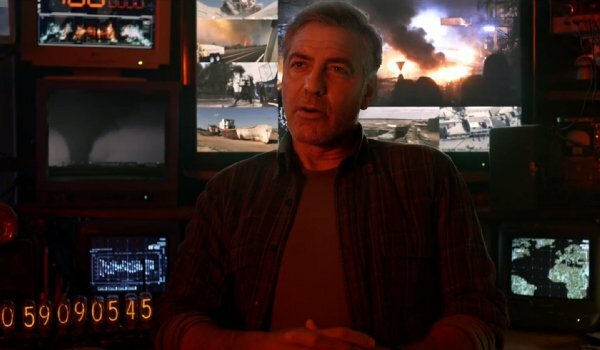 Then the trailer for Tomorrowland dropped, and suggested that we could be in for an imaginative roller coaster ride of sci-fi thrills and chills. Bird and his co-writer, Damon Lindelof, have been playing their cards close to their vest on the plot details of this film, but that’s only making us more curious, and more excited, about the pending summer blockbuster. Plot: The failed Jurassic Park is now a Disney-level Jurassic World, and so far, it’s a hit. 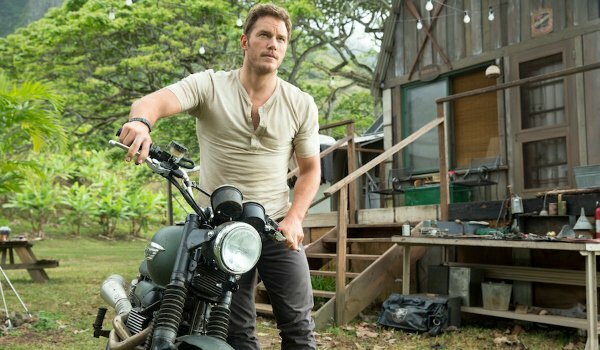 But seeing as how the trailer showed us Chris Pratt on a motorcycle riding into the jungle to fight a rebellious beast, we’re guessing that things are going to go horribly wrong for Bryce Dallas Howard and the execs at the updated theme park of death. Why We're Excited: It has been years since we ventured back to the dinosaur realms born from Michael Crichton’s best-selling novels. But the 3D re-release of the original Jurassic Park whet our whistles, and now we’re dying to see what director Colin Trevorrow can do with the keys to Spielberg’s kingdom. Will 2015 continue the on-screen dominance of Chris Pratt? Will there be anything more terrifying than the T-Rex from Park? Can Jake Johnson rise up to become the new Jeff Goldblum? We can’t wait to see what waits for us in this brave new World. Plot: The next big feature from Pixar, this film will take audiences into the mind of a young girl who has just been moved from her home in the Midwest to San Francisco. The movie follows her various emotions – Joy (Poehler), Disgust (Kaling), Fear (Hader), Anger (Black) and Sadness (Smith) – and find them working to cope as they settle in to their new home and life. 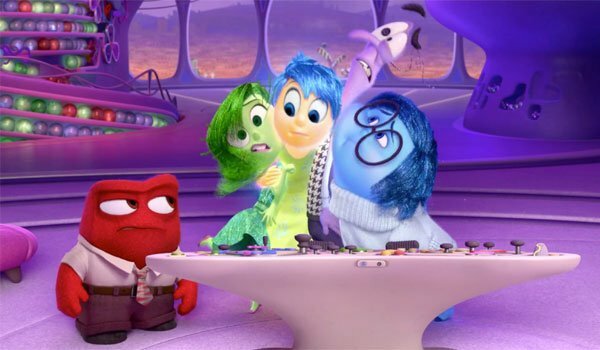 Why We're Excited: There have been a couple of years in the recent past when Pixar didn’t 100% bring their A-game to the cinematic stage, but Inside Out looks like it is a return to the creative richness of past titles like Wall-E, Ratatouille and Toy Story. Not only is the idea of having pure feelings as characters a rather inventive one, it’s also rather impressive that the animation company is looking to balance the story on two levels – from inside the young girl’s mind and what’s going out outside of it. A few months ago we actually got a very early look at the film, and everything we saw painted the film as amazing – including an opening scene that was reminiscent of Up in how beautiful and emotional it was. While we appreciated both Monsters University and Brave, Inside Out looks like a return to the brilliant Pixar that we know and love. Plot: Kyle Reese (Jai Courtney) travels back in time to save Sarah Connor (Emilia Clarke) from a Terminator, but quickly discovers that the traditional Terminator timeline has drastically changed. Why We're Excited: Multiple vintage franchise are trying to breathe new life into their mythologies, and Terminator joins the fray of film series looking for new ways to rejuvenate old material. The majority of the cast is fresh-faced, and we’re eager to see what spins they put on the classic archetypes of Sarah and John Connor, as examples. Of course, we also want to see if there’s any juice left in Arnold Schwarzenegger, who is slipping back into his trademark role but looks ready to turn the rules on their heads in hopes of reinvigorating the franchise. Can director Alan Taylor succeed where others have failed in their attempts to live up to the bar James Cameron set? We’ll soon find out. Plot: A master thief named Scott Lang (Rudd) finds himself in dire straits, and tries to steal a special superhero suit that allows the wearer to shrink to the size of an insect while maintaining the proportional strength of a human. Instead, he comes to work with the suit’s owner, Dr. Hank Pym (Douglas), and works to pull off a heist that could save the world. 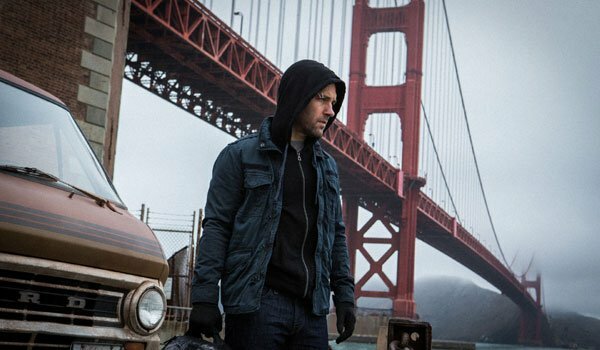 Why We're Excited: Admittedly Peyton Reed’s Ant-Man got off to a fairly shaky start, not only spending about nine years in development, but also experiencing some drama right before the start of production with director Edgar Wright leaving, but our excitement overwhelms these setbacks. Truthfully, nobody is on a roll quite like Marvel Studios these days, and if The Avengers: Age of Ultron proves to be the success we all predict it will be, then Ant-Man will be right around the corner to bask in the warming glow. It has an absolutely fantastic cast, and should expand the Marvel Cinematic Universe in new and interesting ways as it heads into the major plans for Phase Three. It’s certainly an underdog in many eyes, but that ended up working quite well for this past summer’s Guardians of the Galaxy. Plot: Daniel Craig is back as James Bond, and his latest adventure pits him up against a classically evil organization from his cinematic past – SPECTRE, and (we assume) its leader, Ernst Stavro Blofeld. 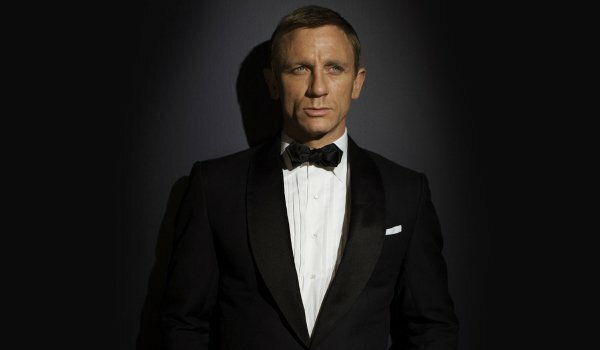 Why We're Excited: Craig has had an impressive run as 007 so far, rebooting the long-running franchise with the lean and mean Casino Royale while also delivering the smash hit Skyfall. (Let’s all ignore Quantum of Solace, which was decimated by the terrible writers’ strike.) Spectre gets off to a GREAT start by luring Skyfall director Sam Mendes back into the fold. And so far, we love the casting of Christoph Waltz and Dave Bautista as Bond baddies. Plot: A bounty hunter (Jackson) and his female prisoner (Jason-Leigh) get driven off the road by a terrible blizzard, and wind up taking shelter in a haberdashery with a collection of shady characters. Drama starts, bloodshed happens. 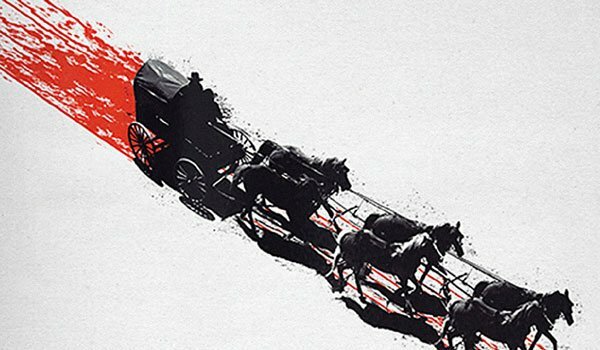 Why We're Excited: We could talk at length about the amazing cast lined up in The Hateful Eight, or how exciting it is to have a new blockbuster western coming to theaters, but really our anticipation can be summed up in two words: Quentin Tarantino. This will be the writer/director’s eighth feature – counting Kill Bill as one – and he has not let us down yet. In addition to his beautiful camera movement and placement techniques, few filmmakers out there are as great at creating tight stories and sharp dialogue. It sounds like this will be Tarantino’s smallest movie size-wise since his 1992 debut, Reservoir Dogs, but we are fascinated to see what he can do with a more intimate plot and setup. Considering there was a time when it looked like the film was never going to happen, it will be interesting to see how it will deliver. Plot: In the finale of The Hunger Games series, Katniss Everdeen (Lawrence) and the rebels of Panem continue to grow in strength and finally begin the revolution with the hopes of dismantling the Capitol and ending the reign of President Snow. 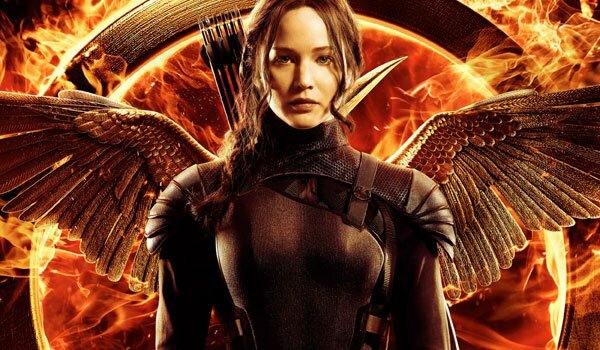 Why We're Excited: The Hunger Games franchise has been a phenomenon ever since the first movie came out in 2012 – setting up the story of a young girl who would become the leader of a rebellion against a fascist government – and this year it is all coming to an end in what should be a rather thrilling conclusion. The Hunger Games: Mockingjay – Part 1 did a fantastic job setting up the exponentially darkening nation of Panem, and the growth of the rebel cause, and Francis Lawrence’s Mockingjay – Part 2 has been set up to capitalize on all of it. How will the ill-equipped revolutionaries face off against the resource-rich Capitol? Will Katniss be able to fix her relationship with the brainwashed Peeta (Hutcherson)? What will the end result of the revolution be? All these questions and more will finally be answered this November. Plot: No clue, though rumors suggest that the plot of the first Star Wars movie in years could find a handful of newcomers helping Han Solo (Harrison Ford) rescue his lost friend, Luke Skywalker (Mark Hamill) as a new threat rises up to challenge the galaxy. Why We're Excited: Are you kidding? OK, fine, here are some of the reasons – beyond, "NEW STAR WARS!" 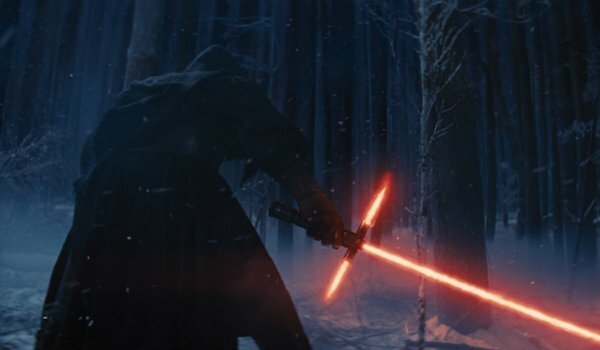 We’re genuinely curious to see how J.J. Abrams approaches Star Wars. He’s a life-long fan, and he rejuvenated Star Trek with a rowdy and clever reboot (before spending all of that that goodwill on Star Trek Into Darkness). The Force Awakens also kicks off an expanding Star Wars universe, which will include spinoff films and the continuation of this particular story in a new trilogy. Will fans embrace it the way they did the original trilogy? Or are we setting ourselves up for a Phantom Menace-level disappointment? Plot: Jennifer Lawrence reunites with David O. Russell to tell the unusual story of Joy Mangano, a struggling Long Island housewife who becomes a successful entrepreneur after inventing the self-wringing Miracle Mop. Why We're Excited: David O. Russell has been on a tear lately, and a lot of it has to do with his collaborations with Jennifer Lawrence (on Silver Linings Playbook and American Hustle). The director seems to be bringing a lot of his usual players back for Joy, finding roles for Cooper and De Niro. But the lure is Lawrence, who has been able to effortlessly switch gears between blockbusyer tentpoles and character-driven Oscar dramas. Joy has the potential to be an awards player, especially if Mangano is anything like the headstrong housewife J-Law memorably portrayed in Hustle. Plot: Plot details are currently being kept under wraps, but the cast listing tells us that the new film will follow-up on the events featured in Mission: Impossible – Ghost Protocol and find Ethan Hunt (Cruise) and his new team out on a mission to save the world. Why We're Excited: Admittedly, the Mission: Impossible franchise has been one that has always traveled on rocky terrain, but it honestly felt like it finally found solid footing with Mission: Impossible – Ghost Protocol. 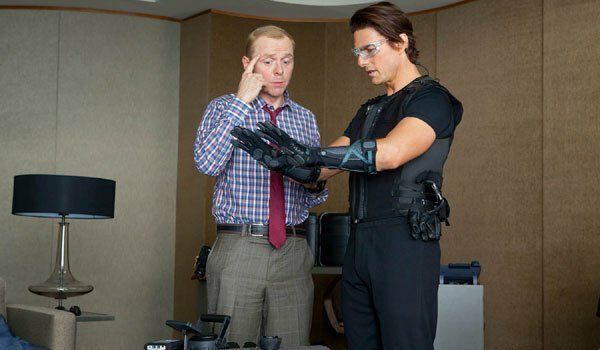 It’s a shame that Brad Bird didn’t decide to come back for Mission: Impossible 5, but we’re very excited to see what director Christopher McQuarrie can do with the material, especially considering his last two collaborations with Tom Cruise were as a writer on Edge of Tomorrow and as the director of the underrated Jack Reacher. 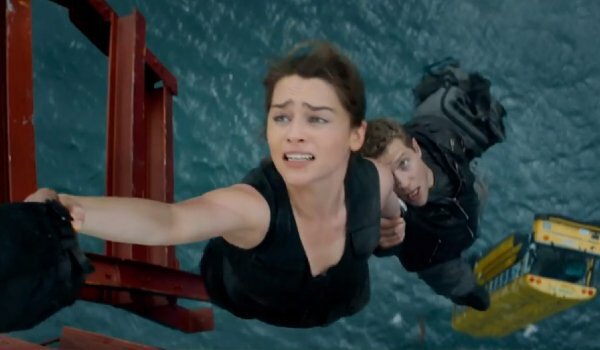 It’s also a shame that we don’t have any firm plot details yet, but the fact that Mission: Impossible 5 will be maintaining some continuity with its predecessor is a great sign that the series is headed in a good direction. Plus, Ving Rhames’ Luther Stickell is back in a significant role, and who doesn’t want to see that? Which of these 2015 movies are you looking forward to most?